Keeping in touch with people is effortless in Sirocco. Whether you want to call someone, exchange messages online, or simply send a postcard, there's no need to be out of the loop. Telephony and postal services in Sirocco are handled by National Post and Telegraph, our government-owned mail and telecom service. 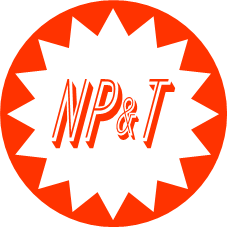 NP&T allows for easy and affordable contact whether it's across the world or across the street. Telephone, Internet, telegraph, and postal services are available in all provinces and territories in Sirocco, with main dispatch centres located in the country's major cities. Mobile service is compatible with NP&T in Sirocco, with 4G connection available in many areas. Broadband internet is almost universally available, with 40-50 Mbit/sec VDSL connections in Havilland, and ADSL elsewhere. A two-digit provincial or territorial code, such as 72 for Trinity or 98 for Konson. A three-digit individual line number, for example '705'. The two-digit province or territory code must always be used, even when dialling within the same area. For example, someone in Halvorson calling Commercial Bay from Otanaki would still have to dial '30' before the individual number. There are a number of important telephone numbers it is helpful to know in Sirocco. Postcodes aren't mandatory when sending something to or in Sirocco, but it makes mail handling faster and easier.